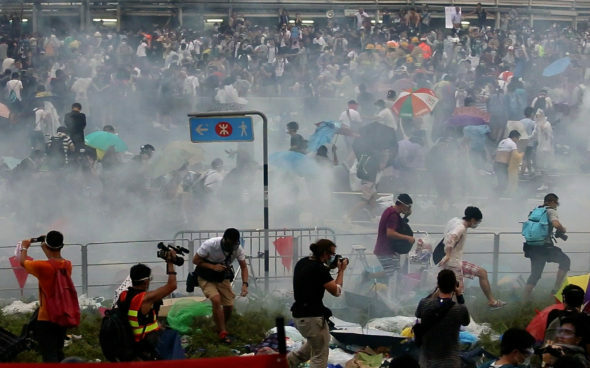 People disperse after police fired tear gas upon pro-democracy demonstrators near the Hong Kong government headquarters on September 28, 2014. Hong Kong democracy protesters defied volleys of tear gas and police baton charges to stand firm in the center of the global financial hub on Monday, one of the biggest political challenges for China since the Tiananmen Square crackdown 25 years ago. The unrest, the worst in Hong Kong since China resumed its rule over the former British colony in 1997, sent white clouds of gas wafting among some of the world’s most valuable office towers and shopping malls before riot police suddenly withdrew around lunchtime on Monday. Tens of thousands of mostly student protesters are demanding full democracy and have called on the city’s leader [Mayor/Chief Executive] Leung Chun-ying to step down. China rules Hong Kong under a “one country, two systems” formula that accords the territory only a degree of democracy. As riot police withdrew on Monday, weary protesters slept beside roads or sheltered from the sun beneath umbrellas, which have become a symbol of what some are calling the “Umbrella Revolution.” In addition to protection from the elements, umbrellas have been used as flimsy shields against pepper spray. Nicola Cheung, an 18-year-old student from Baptist University, said the protesters in central Admiralty district were assessing the situation and planning what to do next. Organizers have said that as many as 80,000 people have thronged the streets after the protests flared on Friday night. No independent estimate of numbers was available. The protests are expected to escalate on Oct. 1, China’s National Day holiday, with residents of the nearby former Portuguese enclave of Macau planning a rally. Pro-democracy supporters from other countries are also expected to protest, causing Beijing further embarrassment. Such dissent would never be tolerated on the mainland, where the phrase “Occupy Central” was blocked on Sunday on Weibo, China’s version of Twitter. The protests have received little coverage on the mainland, save for government condemnation. Protesters say there should be open nominations for candidates for Hong Kong’s 2017 leadership election. China’s rubber-stamp parliament endorsed a framework on Aug. 31 that ensured only pro-Beijing candidates. 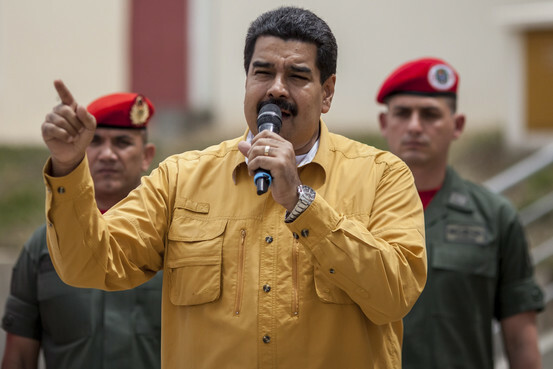 CARACA – President Nicolás Maduro said he ordered the prosecution of doctors who had alerted the public to the recent deaths of nine people in a public hospital from an unidentified but possibly infectious disease. Mr. Maduro’s warnings come after doctors said publicly said that they suspected a possible outbreak of Chikungunya disease, which is carried by mosquitoes from victim to victim, in the city of Maracay just west of here. Mr. Maduro’s government, which has lost support amid an economic crisis and soaring crime, hasn’t said what it believes caused the deaths. From Aug. 30 until Sept. 14, nine people – four of them children – died at the large Central Hospital of Maracay, medical personnel in the city said. Doctors and the family of the last victim, Franklin Fossi, 41, a truck driver who died on Sunday, said he and the other victims suffered from fevers, blisters on their skin and severe joint pain. “We don’t know what we are confronting,” Angel Sarmiento, the president of the Medical College of Aragua state, told reporters in the middle of September. Dr. Sarmiento was singled out by the president for his comments about the deaths. [“To dissent, to have a position different from the government, leads to a witch hunt,” Dr. Sarmiento said in a telephone interview on Sept. 19. “I am not a terrorist. I am a doctor.” He said he was still in Venezuela but was in hiding because he worried he would face a politically motivated prosecution. Dr. Douglas Natera, president of Venezuela’s medical federation, which represents doctors, said the opaque nature of Mr. Maduro’s government and its criticism of the medical establishment is generating anxiety in Maracay, where many people have gone to neighborhood clinics complaining of symptoms found in people infected with Chikungunya. Since first appearing in the Americas in Martinique last year, Chikungunya has spread across the Caribbean, infecting more than 9,000 people and killing 113 in the region, says the Pan American Health Organization. Doctors and epidemiologists say that with preventive planning and medication, deaths can be prevented. In Venezuela, Health Minister Nancy Perez on Wednesday provided what doctors here said were the government’s most extensive comments on the disease, saying that 398 cases had been detected and that three of those infected had died. “What is important now is that at this moment there is no strange virus,” Ms. Perez said on Venezuelan TV, without providing details or mentioning the deaths in Maracay. Medical associations here, as well as former government health officials, have said that the government should call a health emergency in Maracay because of the possibility that an epidemic has taken hold. And in neighborhoods in that city, residents who have lined up at clinics, feeling ill, say they don’t understand why there is not more information about the disease. Mr. Maduro, though, suggested that the doctors who had criticized his government’s handling of the case might have even been plotting a biological attack against the country. Facebook, Gmail and Twitter have been warned they must comply with controversial internet legislation signed by Vladimir Putin, a senior Russian official has said, raising fears that Western social networks could be blocked from the country. The three internet giants have been given until January to register with Russia’s communications watchdog and establish servers inside Russia or face “administrative sanctions,” Maxim Ksenov, the deputy head of the Roskomnadzor agency said in an interview with Izvestia. Google and Twitter both declined to speak about the move, while Facebook failed to respond to requests for comment. The “bloggers laws” refer to a package of internet legislation that critics have described as an effort to crack down on online dissent and pave the way for blocking social networks in the country. Companies registered on the list are obliged to retain records of user activity for six months on servers in Russia so the authorities can access it. Several Russian firms, including Yandex and Vkontakte, a Russian version of Facebook, have already registered, Mr Ksenov said. With the Kremlin maintaining a tight grip on television and other media platforms, social networks have become a key tool of opposition to the Russian government. Dissenting groups have made extensive use of the internet to criticise the government and organise protests, including the spate of anti-Putin rallies that gripped Moscow in 2011 and 2012. But lawyers have warned that non-compliance with the new laws would leave companies open to blacklisting, and ultimately the blocking of their services in Russia. “If sites are not registered, Roskomnadzor has the right to issue a second request that must be fulfilled in 15 days. If it is not, the agency can add that platform to a blacklist, blocking it for Russian users,” Sergey Kopylov, the head of the legal department for the national domain regulator, told Izvestia. Roskomnadzor did not respond to requests for comment. The warning came as the lower house of the Russian parliament approved a bill restricting foreign ownership of media outlets, in a move widely seen as an effort to stifle press freedom. Deputies in the State Duma voted 430-2 to restric foreign ownership to 20 percent, citing the need to protect Russia from an “information war” being waged by the West. The law will hit several major news outlets, including the Russian edition of Forbes magazine and Vedomosti, the country’s leading business daily. The bill must be approved by the upper house and signed into law by Mr Putin before it becomes law. A former British colony, Hong Kong was returned to Communist Chinese rule in 1997 under a "one country, two systems" form of government. It was given wide-ranging autonomy, including an undated promise of "universal suffrage." However, Beijing (the Chinese Communist government) this summer made it clear it will not allow fully-democratic elections. Pro-democracy activists say China's decision to tightly control who can be nominated for the 2017 vote means Hong Kong risks ending up with a "fake" democracy. Since this summer's announcement by the Chinese government, there have been a series of confrontations between pro-democracy activists and pro-establishment forces over the extent to which Hong Kong may go ahead with democratic reforms. On Sept. 13, thousands of pro-democracy activists clad in black marched silently through Hong Kong on Sunday, holding banners saying they felt betrayed and angry at Beijing's refusal to allow fully-democratic elections for the city's next chief executive in 2017. When 1,200 university students calmly staged a sit-in outside Hong Kong’s government offices on Friday (Sept. 26) to call for greater democracy, no one foresaw the chain of events that transformed the city into a battlefield wreathed with tear gas just 48 hours later. But as the police desperately and aggressively tried to disperse the protestors, they only succeeded in inflaming a public already angry at Beijing’s creeping interference in their lives. The first mistake came when officers pepper-sprayed students in front of the television cameras. In one video clip that went viral, an elderly lady who had come to observe the protest was swivelled around by a police man who then sprayed her in the face. Many of the tens of thousands who occupied downtown Hong Kong through Sunday and Monday said they had come after seeing the violence of the police on television. As they were faced with ever more protestors, however, the police simply doubled down their strategy, hoping to disperse the crowds quickly by firing tear gas. “The police force management realise they got it badly wrong. Their aim was to clear the centre of Hong Kong before the working week began on Monday at all costs but they miscalculated the resistance they would come up against,” one police source told The Telegraph. On Monday, police officers manning checkpoints around the protest areas were visibly exhausted, with some dozing against barriers in the afternoon sun before being prodded awake by their commanders. Hong Kong has 25,000 police officers to respond to the protests, and may shortly run out of manpower. The police, however, insisted it had only used “appropriate and necessary force” and “only the minimum necessary”. A spokesman denied that any rubber or plastic bullets had been fired, contrary to rumours. Both Hong Kong and Beijing have labelled the protests as illegal and it is unclear how much longer the authorities will tolerate such an embarrassing situation, especially ahead of China’s National Day on Wednesday. What is Hong Kong's relationship with China? Hong Kong, a former British colony, was handed back to China in 1997 following a 1984 agreement between China and Britain. China agreed to govern Hong Kong under the principle of "one country, two systems", where the city would enjoy "a high degree of autonomy, except in foreign and defence affairs" for 50 years. As a result, Hong Kong has its own legal system, and rights including freedom of assembly and free speech are protected. Its leader, the chief executive, is currently elected by a 1,200-member election committee. A majority of the representatives are viewed as pro-Beijing. Hong Kong's mini-constitution, the Basic Law, says that "the ultimate aim" is to elect the chief executive "by universal suffrage". The Chinese government has promised direct elections for chief executive by 2017. But in August 2014 China's top legislative committee ruled that voters will only have a choice from a list of two or three candidates selected by a nominating committee. This committee would be formed "in accordance with" Hong Kong's largely pro-Beijing election committee. Any candidate would have to secure the support of more than 50% of the nominating committee before being able to run in the election. Democracy activists believe China will use the committee to screen out candidates it disapproves of. China has defended its ruling on election candidacy. Li Fei, the deputy secretary general of the National People's Congress Standing Committee, said that openly nominating candidates would create a "chaotic society" and that any chief executive must "love the country." China has condemned the pro-democracy protests and called the unofficial referendum a "farce." In its June 2014 white paper, China said some had a "confused and lopsided" understanding of the "one country, two systems" model. It stressed that while Hong Kong has a "high degree of autonomy", it is "not full autonomy". 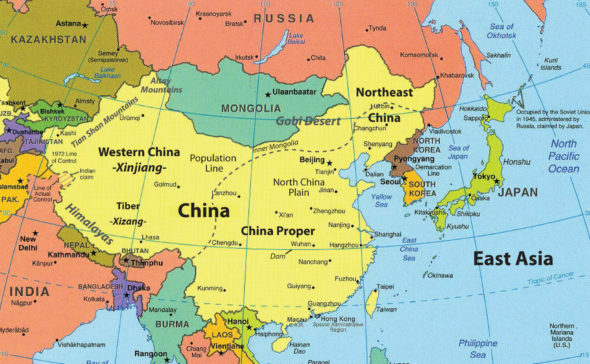 China still has "comprehensive jurisdiction". Chikungunya is a viral disease transmitted by mosquito bites that has been present in Africa and Asia for decades but only recently spread to the Americas. Though there is no cure for the disease, its symptoms can be alleviated with medication. The disease has killed at least 113 people this year in the Caribbean region, according to the Pan American Health Organization, with the islands of Martinique and Guadaloupe hardest hit. Health authorities from Mr. Maduro's government and independent epidemiologists agree the disease arrived in Venezuela several months ago. The two sides, though, are at odds about practically everything else about the disease. Russia's parliament sped up measures to tighten control over foreign Internet companies such as Google, Twitter, and Facebook, raising concerns over state pressure on social networks that have become one of the country's few remaining spaces for dissent. 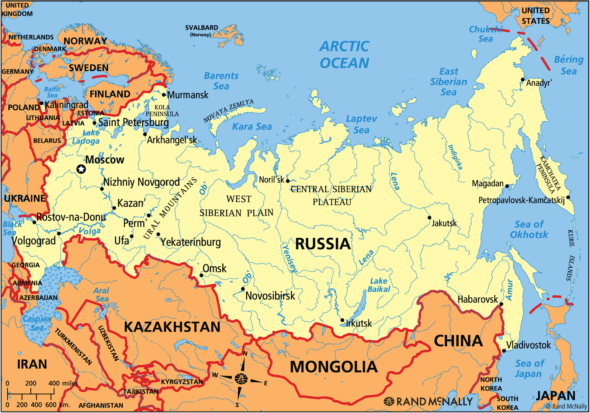 The Duma, Russia's lower chamber of parliament, passed a bill Wednesday that would move up the deadline of a law requiring foreign Internet companies to store the personal data of users from Russia within the country's borders. The deadline, moved to Jan. 1, 2015, from Sept. 1, 2016, would create a near-impossible challenge for U.S.-based firms that have millions of Russian users but generally store data on servers outside the country. Russian authorities have presented the personal-data law as a necessary security measure to protect against foreign threats and U.S. spying. But rights advocates say the Kremlin is pursuing the measure as part of a broader drive to curtail freedom of information and intensify scrutiny of Internet activity. The accelerated effort comes amid Moscow's increasing distrust of the Internet and a hardening of anti-Western policies. Authorities are separately proceeding with legislation to limit foreign firms to 20% ownership of Russian media outlets, a move that risks curbing press freedoms in a country already dominated by state-controlled media. The bill that would move up the personal-data law's implementation passed Wednesday after its second reading, making the new deadline all but certain to come into effect. The Duma must vote once more before sending the bill to Russia's upper chamber of parliament and the Kremlin for approval. The remaining steps are largely a formality. The bill is likely to become law in weeks. 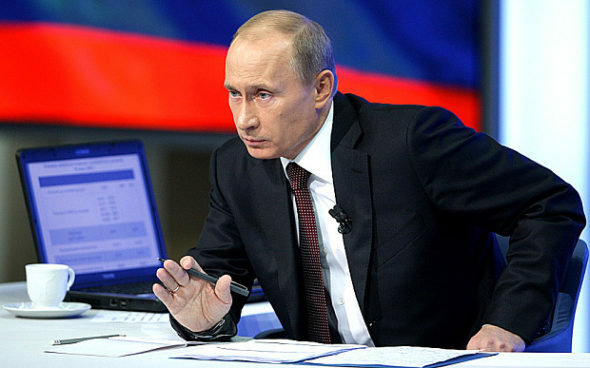 Russian President Vladimir Putin signed the new personal-data measures into law in July. This month, though, Russian lawmakers proposed speeding up their enactment, citing ever-present hacking threats and an "information war" being waged against Russia by foreign powers over the crisis in Ukraine. Russian lawmakers acknowledge that it would be near impossible for companies such as Google to build their own data-storage centers in Russia in just over three months. Karen Kazaryan, chief analyst at the Russian Association for Electronic Communications, a Russian trade body, described the law as impossible to implement in its current form. He said it would be difficult for global Internet companies to track which personal data is coming from Russia.